Access management is an IT security operation that prevents invalid users from accessing the network and stealing data. Management of access rights is probably one of the most important aspects when securing your data. The process can create, provision, and effectively manage different users, groups, roles, and policies. An Identity Access Management (IAM) application does exactly that. It keeps user information, their roles, which group they belong to, and the policies that need to be enforced. The application handles user access requests by checking the user’s profiles and roles. The two systems that control user permissions management and make it easier, are Active Directory (AD) and Lightweight Directory Access Protocol (LDAP). Although they both have a similar purpose, they are different in functionality. Active Directory (AD) is a service. It is a hierarchical directory database that contains all information about users in a network and it is only compatible with Windows OS. LDAP on the other hand, is a protocol. It provides indexing and directory services and it is used to communicate with the AD. What is Lightweight Directory Access Process? As mentioned above, Active Directory (AD) is a hierarchical directory service developed by Microsoft especially for Windows domain networks. It contains all the information about users and profiles in the network. AD started as a centralized domain management service for Windows Server 2008. The service became so popular that it became the key to most of directory-based services. Everything that was related to “Identity” was instantly delegated to AD. The service stores any information about network objects and makes it available and easy to find. Objects are usually those shared resources, such as folders, printers, servers, accounts, etc. AD uses a structured data storage as the foundation for its hierarchical organization of the entire directory information. This data storage is known as the directory, which contains all information about directory objects. Admins can control all the directory data and its organization from the entire network through single network logon. AD secures a domain through logon authentication and access control to objects located in the directory. An Active Directory Domain Services or (AD DS) is the one in charge of providing the method for storing directory information and making it available to anyone (users or admins). In other words, an AD DS keeps all information about user accounts and allows authorized users to access this information. An AD DS server is often referred as a domain controller (DC), which authenticates and authorizes all users in a network. A domain controller has the responsibility of assigning and enforcing policies. It is also responsible of installing and updating software for the entire Windows domain network. Any object that is made under an AD can be grouped into domains. To keep up with security, all the objects that belong to a domain are stored in a single and separate database. One or more of these domains can be represented by a tree. 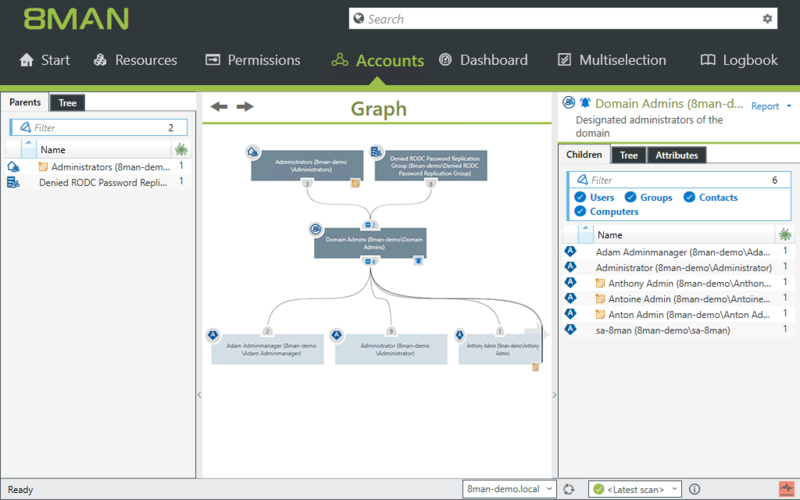 The following picture represents an AD Domain tree with sub domains. For example, acme.com.tw is the main domain, followed by its branches, or sub domains. A collection of these trees is a forest. All trees in a forest share commonalities, such as catalog, directory schema, structure, and directory configuration. An advantage of the forest, is that the global catalog of the DC can be easily replicated and maintained. The above hierarchical structure is very similar to a DNS. Domain Name System (DNS) is a hierarchical naming system used for networks, services, and other resources to translate domain names into IP address, and vice versa. In fact, DNS is an essential component of AD. A DNS query can not only initiate a hostname to IP address conversion, but it also can find the specific records that identify the roles and functions of AD. For example, when a user wants to log into a machine within a domain, the client finds the domain controller first, by using the SRV records. When a Windows client receives the user or service credentials for the first time, it protects that information to be delivered to the authenticating target, or in most cases the domain controller. The user credentials connect the user’s identity to some sort of authenticity proof. The credentials can be a password, a certificate or even PIN number. They are collected through a logon user interface input or through an API and sent to the authenticating server. 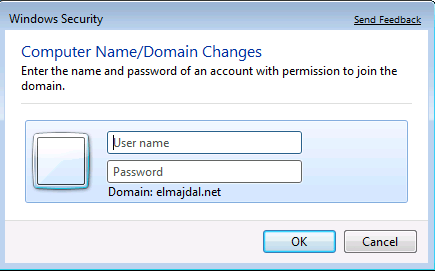 During the Windows logon, the credentials are first validated against the Security Accounts Manager (SAM) database in the local computer. The SAM is present in all Windows operating systems and stores local user information and groups. But when the computer is joined to a domain, the credentials are sent to the AD and checked against the global catalog located in the local Domain Controller. The user credential authentication process sends username and password to the authenticating target and also includes the details of the computer in which the user requested access to. Even though a user introduced the correct username and password, the access might still be denied because the device in which the user is trying to gain access does not have the necessary permissions to access the network. When a user tried and had too many incorrect password attempts, all Domain Controllers in a forest can be quickly notified and locked against that specific user. The Lightweight Directory Access Process (LDAP) is an open and industry-standard protocol, it can be used with many distributed directory systems, such as Apache DS, OpenDS, Red Hat DS, etc. This protocol has been around much longer than AD. LDAP, as the name implies is a lightweight method used for accessing and maintaining directory services over TCP/IP. With this protocol you can share information about, users, groups, and networks between servers through the Internet. It provides a central place to store credentials and help with authorization. Many services and applications use this protocol to help validating the user. A LDAP server does name lookup and credentials validations. It also stores the Access Control List (ACLs) file and directory objects. This protocol was based on the early authentication system the X.500. When it comes to directory service mechanisms, X.500 specifies many standards about how directory mechanisms work. Although LDAPv2 had many features covering the X.500 series of standards, the newer LDAPv3 is simpler, lighter, and covers a larger subset of the X.500 features. Specially when it comes to the improved security protection for LDAP communications. 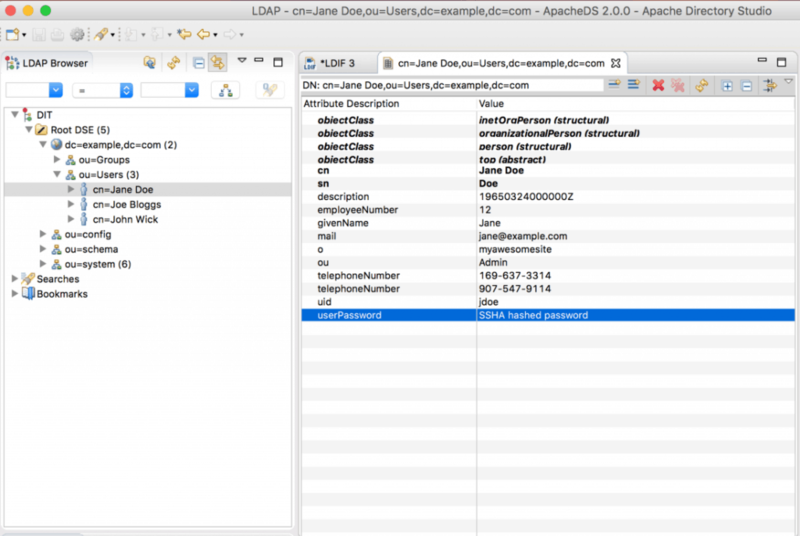 LDAPv3 comes with a Simple Authentication and Security Layer authentication framework. The intended purpose of LDAP was to provide authentication information, but the newest versions of the protocol have a lot more applications. The most important upgrade of LDAPv3 was its improved security. When the user tries to authenticate, the client initiates an LDAP session by first connecting to the LDAP server. The client might request operations such as, a secure connection through the LDAPv3 TLS (Transport Layer Security), an authentication through a specific LDAP protocol version, or a search to look and retrieve specific directory entries. This gives much more flexibility and added security. On top of that, LDAP communication can also be secured using an SSL Tunnel (Secure Sockets Layer). The use of this method was used in the previous version LDAPv2, but it was never standardized in any formal specification, until LDAPv3. The LDAP directory has a hierarchical tree structure. All the entries or objects in this directory have a defined position. An object can be a user or a resource, such a shared computer or printer. The hierarchy where the objects are defined is called the Directory Information Tree (DIT), which consists of Distinguished Names (DNs) of the directory service entries. All kinds of lists of information can be organized into DITs, which are stored in the LDAP database. By itself, the LDAP permissions database is also stored and organized in a DIT. If a user wants to access information located in an LDAP database, the user would need to authenticate first. Similar to AD, the functionality of LDAP can be illustrated by how DNS works. In fact, access to the DNS system is managed through an LDAP procedure. What makes DNS fast is that it doesn’t hold every copy of the entire database. It checks its local database first, and if it doesn't find the record, it will query a parent server until it finds the answer. 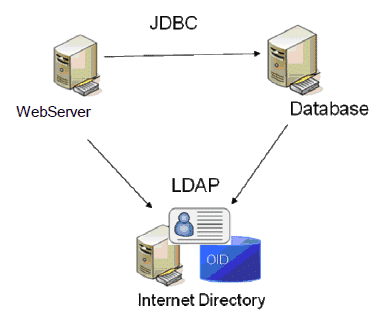 Similar to DNS, when there is a query, LDAP is able to forward it to the location of the requested data. When a user needs to access an LDAP remote resource, the local server will send an access permission request to the local database first. For example, in a DNS query scenario, if a user wants to find yahoo.com, it would first consult its local DNS server, but if it doesn’t have the answer, it would need to consult the Root DNS Server, which has the answer and knows how to get there. Access Control Lists are probably the most common and simple ways to control access in systems and networks. An ACL is basically a list of permissions on a file or a directory, given to specific users or groups. Although ACLs are not considered directory services, they can be used as access management systems for directories and files. For example, ACLS are really powerful for managing permissions within a file system, such as NFS. They can manage access, because they can provide the normal read, write, and execute permissions for an individual or group of users, and you may have as many lists to give or deny the permission. Although ACLs are not exactly authentication mechanisms, they can provide excellent protection to the company assets. The automation and maintenance of directory services and protocols like AD and LDAP are usually undertaken by other applications. For the set up and initial configuration of this services you need to use an Identity and Access Management system (IAM). The main purpose of a system like this, is to oversee the entire information available in the access directory services in one place. An IAM is basically a framework that simplifies the management and access of different identities. It contains all the policies and technologies that are needed to manage identities easily. A complete IAM system may come with a role-based access control, which allows you to manage and regulate access networks and systems based on the roles of the users. A role can be defined based on authority, responsibility and job competency of a user. For example, if a user has an auditor role, he may be granted access to read all the files. In other case, an engineer might be granted access to read, write, and view only certain types of files. Other features that an IAM system may include? Mechanisms to capture and document user login information. Ability to manage user identity database. Manage the allocation and removal of access privileges. Ability to simplify user provisioning process and setup accounts. Capable of monitoring and modifying access rights. Help comply with regulations that require periodical data access reports. As mentioned before, an IAM is a framework for managing digital identities and access. With this framework you can monitor and control all risks from a central place. Some of our recommended IAM tools belong to complex and complete network management systems; they integrate access control within their product suite. This type of tools can be pricey but are suitable for enterprise networks. Others are free and open source simple directory interpreters that can help you manage system permission on a basic level. 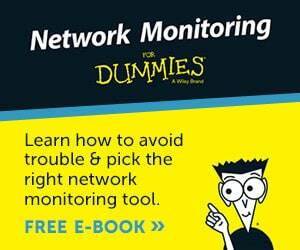 They are perfect for individual and small networks, but can be challenging to set up. Below you'll find a Quick description of each tool, some screenshots and where to download a free trial to get started! 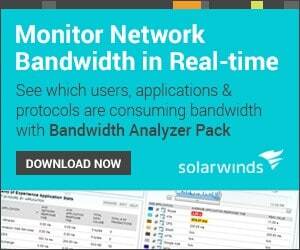 SolarWinds develops software that helps you manage networks, systems and IT infrastructure. They acquired access rights management provider 8MAN, to add auditing functionality to its enterprise customers and changed the name to Access Rights Manager (ARM). Although ARM is not the only SolarWinds tool able to monitor Access Directory, it is without a doubt, the most complete. SolarWinds Access Rights Manager (ARM) helps managers configure user authorization and access permissions, and protect networks from unauthorized use and data destruction. The software only supports Active-Directory-based networks, so it can only run in Windows Server. This product’s main goal is to allow easy user provisioning, user removal, and tracking. By controlling and limiting access to key components such as file servers, Active Directory, and the Microsoft Exchange Server, ARM can help protect systems and data from unauthorized use or destruction. ARM can generate customized reports that show who has access to what and when this data was accessed. You can also provision and deprovision users easily and quickly with the help of role-specific templates. Active Directory monitoring and tracking. 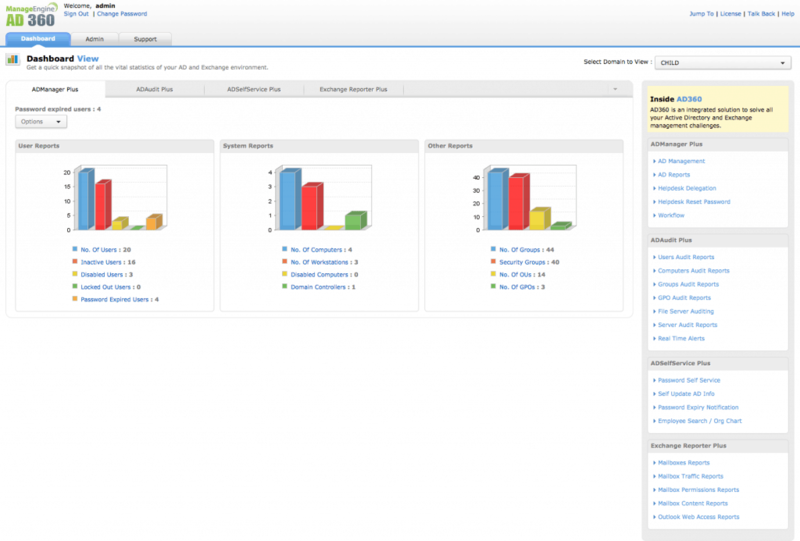 SharePoint access management and monitoring. User provisioning and deprovisioning with templates. The license starts at $2,995.00. 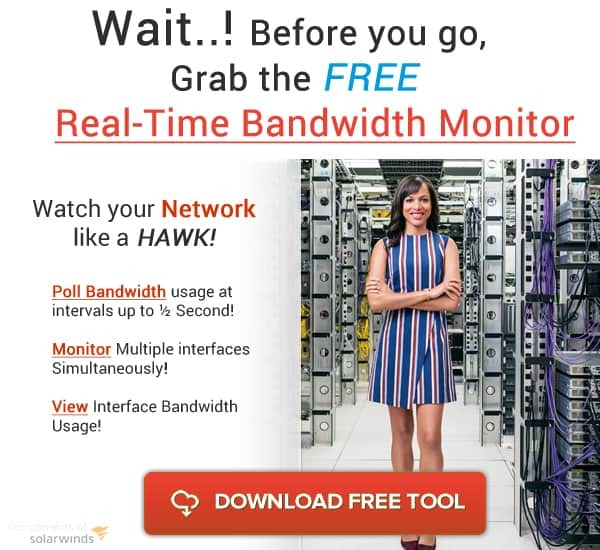 Get a free trial from Solarwinds official site for 30 days. The Apache Directory is an open source project developed by the Apache Software Foundation. It is Apache’s own application of the LDAP Directory server. The software was written in Java and it is available under the Apache Software License. The Apache Directory (ApacheDS 2.0) is an extendable and embeddable LDAP directory server which is fully compatible with LDAPv3. 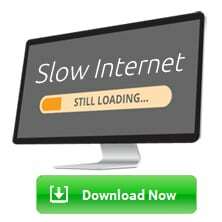 The software may also support other network protocols, such as Kerberos and NTP (Network Time Protocol). More directory sub-projects have been developed under the main Apache Directory project that make the software highly compatible with other services. Some sub-projects are, Apache Directory Studio, eSCIMo, Fortress, Kerby, LDAP API, and Mavibot. Supports pluggable components and subsystems. It is able to implement virtual directories, proxy servers, and gateways to X.500 directories. To make access management easier, Apache developed the Apache Directory Studio, which is a free directory platform, built especially for ApacheDS. The following screenshot, shows the software in action. Free. The license is open source. Get ApacheDS from its official site. ManageEngine develop enterprise IT management software for security, service management, operations management, and Active Directory. AD360 from ManageEngine, is an integrated solution for easy management of AD and Exchange. This software is a comprehensive IAM solution designed for user identity management, resource access control, security enforcement, compliance fulfilment. AD360 is designed for Windows environments. Automate provisioning and de-provisioning of user accounts. Monitor changes on the Active Directory. Securely audit AD, Office 360, or file servers. Ensure regulatory compliance such as HIPAA, SOX, etc. The price starts at $595. Choose the components that you need and get a quote from ManageEngine to get a better estimate. Get a fully functional free trial for 60 days without restrictions. FreeIPA is an open source identity management solution for Linux systems. The software aims to help manage, Identity, Policy, and Audits (IPA) for free. FreeIPA was designed with a strong focus to provide easy management and automation of deployment and configuration tasks. 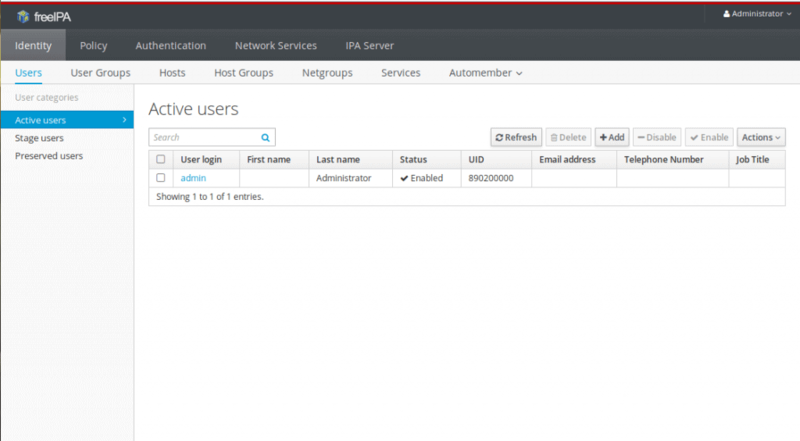 FreeIPA is an IAM platform made easy for Linux admins. Although the software is intended for Linux, it can also be installed on RHEL, MacOS, and Unix. The software allows you to manage users, groups, hosts, services, and much more, all from a central place. It can do this with the help of its extensible interfaces, WebUI, RPC, CLI, and JSONRPC API. You can protect identities with the help of FreeIPA by defining Kerberos authentication and authorization policies for all your systems and devices. A big advantage of this software is that you work alongside other IAM systems such as Microsoft AD. FreeIPA imitates the feel of Active Directory, something that is not available in Linux systems. Enable Single-Sign-On authentication for your systems. Set Kerberos authentication and authorization policies. Manage services such as SUDO, SELinux, DNS, NTP, and autofs. As the name implies, FreeIPA is free. Get the software in FreeIPA’s official site, for Fedora, RedHat, CentOS, or Debian. The main idea of LDAP Account Manager (LAM) is to simplify the technical complexities of LDAP. LAM allows entries like users and groups, that are kept in the LDAP directory to be managed easily through its web application. LAM is basically an account-based IAM which gives the administrator an abstract view of the entire directory. 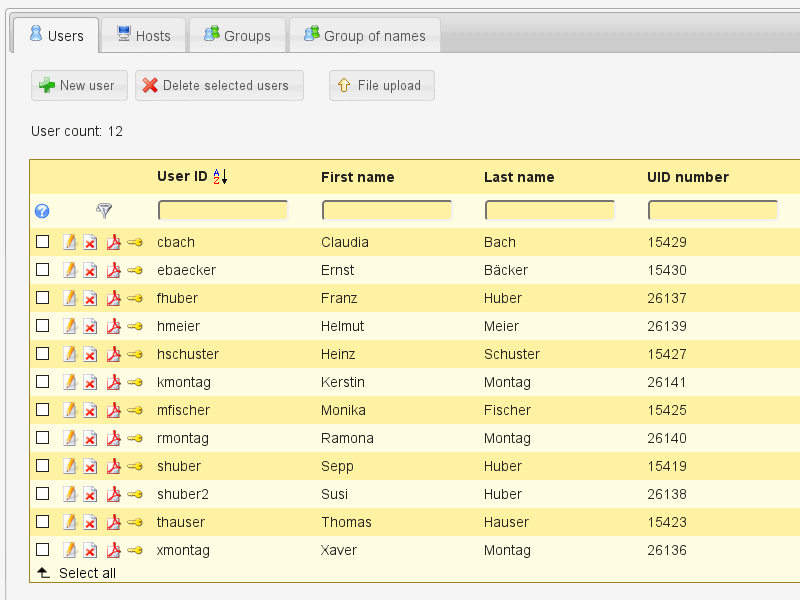 The software offers LDAP database viewer and editor. LAM can be installed on Debian, Fedora, and SUSE Linux. The original application of LDAP Account Manager is free and open source, but there is a premium and extended version under the commercial license. The paid version is called LDAP Account Manager Pro and includes extra features. 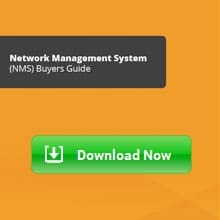 Although the paid version is not as complete as the other products on the list, the price is much cheaper and could be a great choice for an enterprise network. Self-service registration and password reset option. Multiple login methods support, such as uid and email. Integration of external CSS files. This software is available for free, but there is also a premium version. LDAP Account Manager pro license price for single use, starts at 149(EUR), and for a company, starts at 549(EUR) for 1 year subscription. Get the LDAP Account Manager for free from their official site. Access control and management is one of the most important components to keep an organization’s network secured. The main problem that IAM software is trying to solve is, to control those users with excessive access privileges in order to protect the network from insider attacks. The solution is to use a platform that can help control access to Active Directory (or LDAP), file servers, and Exchange. This ensures that all data and systems are protected from unauthorized use, misuse, modification, and destruction. But choosing the right IAM is not an easy task. 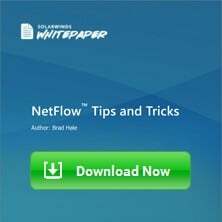 There are three dominant factors that could influence the decision when choosing a product, one is the operative system running in your network, the other network size, and finally the budget. Not that LDAP is incompatible with Windows, but if you are running Windows Server in your network, you are much better off running Active Directory. With AD you can leverage Windows network and access control,and also interact directly with Exchange servers and Office 365. On the other hand if you are using Linux systems, you will need to use LDAP-based IAM software. If your network is large, features such as single-sign-on authentication and self-service password reset can be crucial for admins to perform faster. But those features may not be suitable for a small network. Not everyone has the budget to afford the best products in the market. But all products listed here come with a free trial or either are 100% free. So you can test the waters, before diving into the ocean. The first thing you can do is to define your Operating System needs, the size of network and your budget, and give some of those products a try. Which product suits your requirements best? 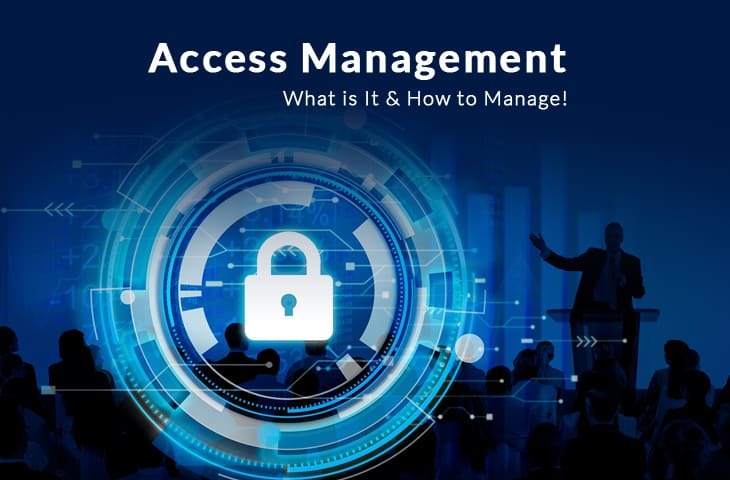 We hope this article gave you a better understanding of Access Management the importance it plays in your network infrastructure and role as an IT Admin or Engineer!